The sun is shining brightly in Adelaide. It is, in fact, 39-degree Celsius. Certainly, the pink ball has not been in the operation like it was the case in the last four years, but then, who cares? It is India-Australia after all. One of Cricket's most glorious rivalries spread over 70 years. It is one of those series that brings the cricket world to a standstill. People in India were awake at morning 5 AM to see both the teams shaking hands, a new Australian custom in their bid to win the respect back home post-Newlands scandal, and some armchair critics are typing their expert opinion on the match. None though could have waited for the first ball to be bowled. And then it did. 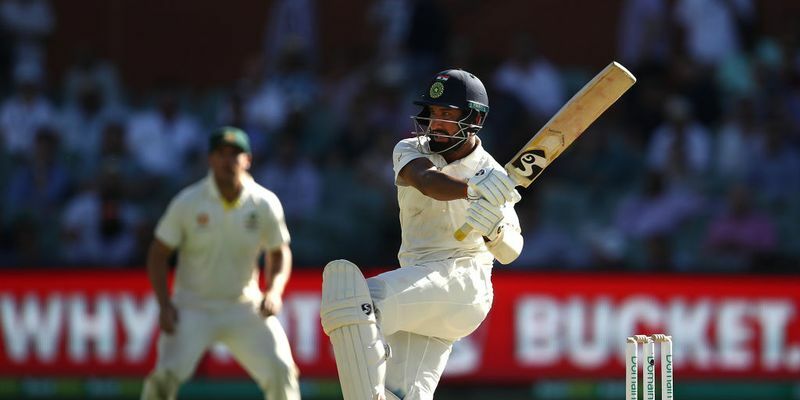 Mitchell Starc streamed in to bowl a short of a length ball to KL Rahul as it shaped back into the Indian as he prodded across to defend it back to the bowler. The stage was set now. Seldom in cricketing history, an India-Australia series is without hype. Brisbane always sets the stage and Perth’s bounce makes India suffer to no end. By the time Melbourne ends, the result is pretty much a given and very rarely does the SCG Test have any significance as far as the result of the series is concerned. While Brisbane was struck off the list for the India series and Adelaide got the due to host the first Test, India were apparently relieved. This was the best batting track available in Australia and a win here would put double pressure on the hosts. For that, they needed someone rock solid at the top of the innings to dodge the collapse and someone who will hold on and bat with the tail. For the first role, Virat Kohli, and for the second one, well, India’s one of the better batsmen in Australia, at least statistically, Ajinkya Rahane would have been well-suited. However, plans always come true in the world of fantasy, and not always in the real world. By the time, the first hour ended, India were 19/3 with KL Rahul, Murali Vijay, and Virat Kohli back in the hut. All by playing ridiculous shots. Obviously, it was not a typical Australian track and the pace bowlers were all back in form with a bit of lateral movement on offer. But, who can justify the shot selection? KL Rahul went for an expensive flashy drive to give a catch to Aaron Finch at third slip. It was a disastrous wicket aided by his desire to get the monkey off his back. He sacrificed his natural game when all he needed was to see off the first few overs to set his eye in. If that wasn’t criminal enough, Vijay, who once used to swear by his ability to leave alone the balls, kept fending at short balls but failed to control his urge against a full one to leave India reeling for 15/2. Ah, the lovely familiarity of England and South Africa! Now, going by script, another Virat Kohli special was on the cards. It seemed like Australia had special plans already in place as they didn’t bowl a single ball outside the off-stump to the Indian skipper and gave him no room which built pressure on him. Kohli was undecided whether to leave or play those balls and as a result of that, he got a bat to most of them. After Mitchell Starc and Josh Hazlewood made him play as many as 15 balls, Pat Cummins gave one wide off stump delivery, and in a desperate bid to open the arms, Kohli got a thick edge. Restlessness, you can say. Or Virat Kohli has got enough credibility that you shouldn't say that. Whatever that was Puraja had a major rebuilding job to do. And remember, when Pujara has been offered a job, he did carry out that with elan and never said No to. "To be honest, we should have batted better but they also bowled well in the first two sessions and I knew that I had to stay patient and wait for the loose balls. The way they bowled, they bowled in the right areas. 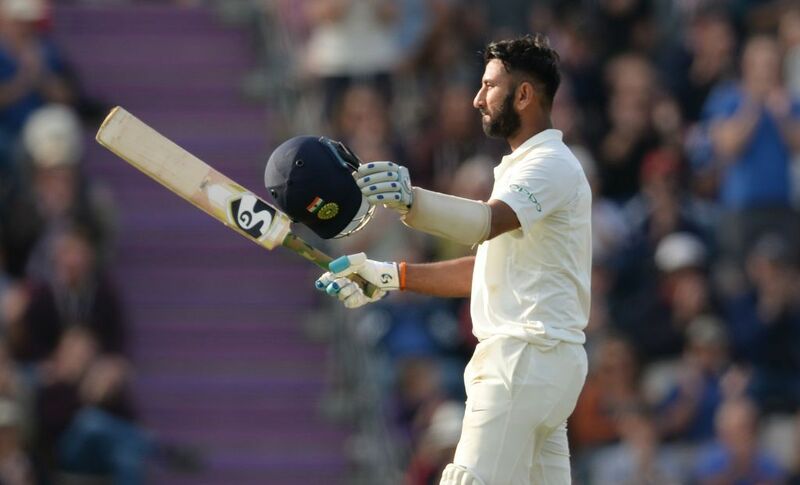 I also felt that our top order should have batted better, but they will learn from the mistakes and put up a better show in the second innings," Pujara said after the end of the innings. With the temperature rising to 39 degrees, he knew that pushing the bowlers to the limit was the only tactic to score as fluently as possible later. Mitchell Marsh’s absence meant it would have put more pressure on Lyon and the pace troika. He knew nothing other than boldness would work. It was the exact same thing that worked like a charm for him in the England series, especially in Southampton. The understanding of the nuances made him look more assured and provided him clear-cut understanding of what his role is - to provide stability and absorb the pressure. Starc and Cummins had been entrusted with the responsibility of making the batsmen fear with the bounce and Hazlewood, of course, was there to hold the line. It made other batsmen worried, not Pujara though. Having got off to a decent start, Pujara scored no run off 29 balls in the middle overs. Pujara would leave most of the balls pitched on a length, most on the sixth stump. However, when he reacted quickly to a fuller length delivery for a cover drive four, Paine pushed the sweeper cover back to lure him again. However, Pujara left them without fuss to frustrate the Aussie. The mental block was conquered, now the time had come to score. While Rohit Sharma was pretty good against the pacers today, he adopted a completely different approach against spinners. Rohit and his fellow Mumbaikar Ajinkya Rahane looked to attack Lyon as a means to score runs. Lyon’s old-fashioned off-spin helped him get overspin and dip from a classical side-on action and the bounce generated was sufficient to cause trouble. The duo attacked and perished eventually. On the other hand, Pujara was calm and his forward defence was assured enough to take notice. By using his feet, he forced Lyon to change his length and also made time for late shot selection by pushing himself back in the crease at times. He anchored the innings and even after the dismissal of Pant - India’s No.7 batsman - he added 77 runs off 103 balls in the final session of the day. It was a statement that how well he can bat with the tail and had he got more support in the first couple of sessions from his more illustrious colleagues, the situation would have been much different. However, in retrospect, the effectiveness could have the byproduct of getting more freedom while batting with the tail cause that is the time when he is completely at his own. The 123 today may not go down in the history books, but there was a certain charm to it. It was during the innings - after each run - he was making a statement for his dressing room friends. “This is Test cricket, Boys. Patience can never be an understated virtue here. Show me some of them in the second innings and save the Test,” he would well have said this and enter the bathroom after a day of sweat.